As Minister of Public Safety, I am pleased to once again be presenting to Parliament the Report on Plans and Priorities for the Canada Border Services Agency (CBSA). Serving as Minister responsible for the CBSA has given me the opportunity to learn about border issues and reflect on the importance of well-functioning borders to this country. Canadians live and work in a global community that offers unprecedented opportunities through trade and intercultural exchange, while also presenting risks to their safety, health and prosperity. Canadians treasure their open, compassionate and just society. They welcome visitors and immigrants who seek to experience Canada’s natural beauty, freedom and opportunity, and they embrace free trade with other nations. But Canadians also insist on vigilance against individuals and organizations that would exploit our generosity and openness. Smart, secure borders have become essential to preserving a cherished way of life. Canada’s New Government has shown a substantive commitment to ensuring that the CBSA can meet its dual mandate of securing the border and facilitating the flow of lawful trade and travel. 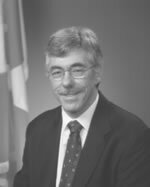 Budget 2006 provided $543 million over five years for initiatives that will further modernize border management and support priorities of the Security and Prosperity Partnership (SPP), which is a trilateral effort to enhance the security of North America, its competitiveness, and the economic well being of its citizens. These types of initiatives will not only innovate border management using the latest science and technology, but will also strengthen our relationships with our neighbours, and our partners in the trade and travel community who likewise benefit from a more secure, competitive and prosperous Canada. The coming year will also focus on delivering another commitment of our government as the Agency will begin to deploy fully trained and armed border services officers and to eliminate situations where they are required to work alone. Being in the public security business demands constant innovation to deal with emerging threats and to respond to increasing demands for border services. It is important that the CBSA has the capacity to face these challenges and protect the safety and prosperity of Canadians, now and in the future. I want to thank the women and men of the CBSA for their continued dedication, integrity and professionalism. They can be proud of the good work they do in keeping our country safe. 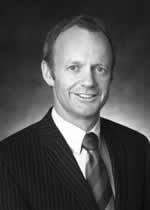 The Honourable Stockwell Day, P.C., M.P. As we reflect on our first three years and plan for the balance of the decade, the Canada Border Services Agency (CBSA) faces challenges in consolidating our achievements, responding to increased demands for border services, solidifying our corporate infrastructure, and accelerating border innovations that will further strengthen Canada's security and prosperity. Our success to date is largely based on the deployment of a three-pronged strategy: receiving advance electronic information on who and what is coming to Canada; turning information into intelligence using sophisticated risk-assessment systems and effective risk management; and building facilitation programs for low-risk people and goods. This strategy allows us to expedite the legitimate travel and trade that is Canada's lifeblood, while defending against the individuals and goods that threaten Canada's security and prosperity. With more than $350 billion in annual imports, we also play a key role in trade administration—supporting Canadian competitiveness and contributing to a fair and secure marketplace while collecting $27 billion in border duties and taxes, or 5 percent of the federal budget. While the CBSA has successfully merged three organizations involved in border operations into a single integrated agency, we now face the challenge of countering critical resource pressures to respond to emerging demands, opportunities and threats, while investing in the corporate infrastructure and systems required to support a 13,000 person, $1.5 billion organization. We look forward to working with Central Agencies to develop options to overcome these challenges. Our continued success also requires investments in a series of very significant long-term projects. Foremost among these commitments are arming border officers and implementing new initiatives under the Security and Prosperity Partnership of North America, including eManifest and the expansion of NEXUS Air to seven Canadian Airports. Much of our work over the coming year will be dedicated to these projects, as well as to improving our ability to identify, analyze and mitigate risk, and to strengthening the international and private sector partnerships that form a critical element of smart, secure borders. Most instrumental to our success are our people; their professionalism, integrity, knowledge and commitment to excellence provide our smartest border defence. It is therefore our foremost priority to invest in the skill and security of our employees, and the tools that will allow them to continue transforming Canada's border management. I submit for tabling in Parliament, the 2007-2008 Report on Plans and Priorities for the Canada Border Services Agency. It reports finances based on approved planned spending numbers from the Treasury Board Secretariat in the RPP. CBSA Vision: A smart border, a smart organization. CBSA Mandate: The Agency is responsible for providing integrated border services that support national security and public safety priorities and facilitate the free flow of persons and goods, including animals and plants, that meet all requirements under the program legislation. CBSA Mission: To ensure the security and prosperity of Canada by managing the access of people and goods to and from Canada. Integrity: We will exercise our authority in a principled, open and fair manner. We will accept responsibility for our actions to foster a reputation of being trustworthy and accountable. Respect: We will appreciate the dignity, diversity and merit of all people. We will appreciate their positions, and be just, courteous and reasonable. We will respect the privacy of Canadians and strongly uphold the Canadian Charter of Rights and Freedoms. Professionalism: We will set high achievement standards for our employees and strive to provide quality service. In particular, we will innovate and harness smart technologies to achieve our mission. The Canada Border Services Agency (CBSA) is a key player in the Government of Canada and contributes to the security and prosperity of Canada through the effective and efficient management of our borders. Created in December 2003, the CBSA is an integral part of the Public Safety and Emergency Preparedness Canada portfolio, which was established to protect Canadians and maintain a peaceful and safe society. The Canada Border Services Agency Act gives the CBSA the mandate to provide integrated border services that support national security and public safety priorities and facilitate the movement of persons and goods, including animals and plants, that meet all requirements under the program legislation. The CBSA is a key federal partner in protecting Canadians from threats to public safety and health. To ensure that the border remains open to low-risk travel and commerce but closed to crime and terrorism, the CBSA works cooperatively with its North American counterparts in implementing a border strategy that relies on technology, information sharing and biometrics to create a smart and secure border. Even as the CBSA enhances border security, it is developing measures and programs to expedite legitimate trans-border movement. Facilitating the lawful and fluid flow of low-risk people and goods into and out of Canada is essential to our national economic vitality. Because of this, the CBSA dedicates significant effort and resources to the development of cutting-edge technological solutions to process travellers and commercial shipments in a more effective and efficient manner. The CBSA also invests in business continuity planning to ensure that the border stays open if we are faced with any unanticipated emergency, such as power failures, natural disasters or a health or human crisis. The CBSA also employs a program of responsible enforcement and an effective sanctions regime that may be applied to persons and groups that contravene Canadian border laws. These measures promote compliance and provide a level playing field for all travellers and traders. The collection of import duties and taxes represents a very important function for the CBSA. Revenue collection by the CBSA is very significant, with an average daily collection of $9.1 million in import duties, $63.7 million in goods and services tax/harmonized sales tax (GST/HST), and various excise duties, taxes and liquor board fees. In total, these revenues account for $27 billion per year, which represents five percent of the federal budget. The CBSA is a cost-effective, transparent and accountable agency. We demonstrate fiscal prudence to Canadians through sound comptrollership measures, internal audits and program evaluations. The CBSA provides integrated border services that balance the need to support national security and public safety priorities with the facilitation of cross-border movement of legitimate trade and travellers. In order to do so, we constantly identify, analyze and mitigate risk. Every day, our employees make thousands of real-time decisions that affect the security and prosperity of Canadians. The CBSA delivers its programs and services in a complex environment that is rapidly evolving. To keep pace, and in efforts to enhance the security and prosperity of the nation, the CBSA advances collaboration with both domestic and international partners in areas as diverse as security, trade facilitation, immigration and public health. The CBSA carries out its responsibilities with a workforce of approximately 13,000 employees, including over 7,200 uniformed border services officers that provide services at some 1,200 points across Canada and 39 international locations. Altogether, we manage 119 land-border crossings and operate at 13 international airports. Sixty-one of these land-border crossings and nine of our international airports operate on a 24/7 basis. Our officers carry out marine operations at three major ports in Halifax, Montreal and Vancouver as well as at numerous marinas and reporting stations, and perform rail operations at 27 rail sites. We also process and examine international mail at three mail centres located in Vancouver, Toronto and Montreal. The CBSA processes an average of 266,000 travellers entering Canada each day. Taken together in 2005-2006 we processed more than 96 million1 travellers arriving by highway, air, sea and rail. We collect an average of $9.1 million in import duties, and $63.7 million in GST/HST each day. The value of cross-border trade with the United States alone averages $1.9 billion a day. In the 2005-2006 fiscal year, an average of 18,200 trucks arrived every day, with over 10,000 of these cleared through the southern Ontario border crossings. We also cleared 70,289 passenger planes, 5,350 cargo planes and 179,120 marine vessels. In addition, we handled over 9 million clearance requests for commercial goods. collecting applicable duties and taxes on imported goods. In collaboration with our portfolio partners, we contribute to the health, security and economic prosperity of Canadians. Given the nature of our work, the CBSA is involved in strategic partnerships with many government departments and agencies at home and abroad (see Appendix A for additional information). One of our key strategic partners is Citizenship and Immigration Canada, with whom we work closely and provide a variety of enforcement and intelligence operations. Similarly, the CBSA has strong partnerships with the Canada Revenue Agency, one of our major service providers, as well as with U.S. Customs and Border Protection and U.S. Immigration and Customs Enforcement. Dependable and timely communications with partners and stakeholders are key to minimizing risk and maximizing economic advantage for Canadians. The CBSA also works on increasing cooperation and relationship building with other government departments to address major terrorist, pandemic and other human/national security risks. To this end, the CBSA works closely with various international institutions to ensure that the CBSA is strategically positioned with other government bodies and stakeholders to face and respond to global challenges. The Canada Border Services Advisory Committee (CBSAC) provides independent advice and serves as a sounding board on major trends and developments that may affect the management of Canada's borders, as well as the priorities, business and operations of the CBSA. The CBSAC comprises some 24 stakeholders representing the private sector, the immigration community, travellers, the general public and academia. The CBSA is committed to consulting with Canadian commercial stakeholders on strategies, policies, operational programs and administrative procedures that govern and affect Canada's commercial trade. In support of this commitment, the Border Commercial Consultative Committee (BCCC) provides CBSA officials and commercial stakeholders with a forum for dialogue on Canada's border operations. The BCCC is composed of 27 of the CBSA's major private-sector stakeholder organizations, and meets at least twice yearly. 1 As a result of the ongoing quality assurance and quality control of the information in the CBSA's operational databases, the statistic published in this RPP differs from that published in the 2005-2006 Departmental Performance Report. The CBSA has developed a three-year Strategic Plan for 2007-2008 – 2009-2010. The Strategic Plan identifies four priorities that support our strategic outcome and introduces strategic goals under each priority. Each goal further describes a set of activities that the Agency will undertake in 2007-2008. All the components of our Strategic Plan support broader Government of Canada priorities. Specifically, our strategic outcome reflects the federal government's commitment to safe and secure communities, a fair and secure market-place, and a strong and mutually beneficial North American partnership. The four strategic priorities are considered to be ongoing as they are explicitly identified in previous CBSA planning documents tabled in Parliament. Each priority continues to support the CBSA's future strategic direction. Since its creation in 2003, the CBSA has worked to integrate the functions and responsibilities of its three legacy organizations (the Canada Customs and Revenue Agency, Citizenship and Immigration Canada and the Canadian Food Inspection Agency) into a consolidated whole. This merger allowed for border service professionals to work within the same agency to improve and accelerate protection and facilitation initiatives already in place, and to develop strategic approaches to border management to keep pace with new and emerging threats. As the Agency has evolved and matured, so have the demands placed upon it. Requests for services and programs have increased, and working on the broader Government of Canada objectives of harnessing opportunities in the light of global challenges remains an ever-constant demand. Given these challenges and, in light of scarce resources, the CBSA is at a turning point in its history. As such, the coming year will in many ways shape and determine the Agency's direction. A critical enabler to the Agency's success in these areas is its ability to achieve its strategic outcome through all of its priorities, with a particular emphasis on a modern management regime. Ensuring that the CBSA has an adequate resource base in place to deliver on Government of Canada priorities and adequately discharge its mandate is fundamental. Within a public sector focused on management excellence and increased accountability, the CBSA must continue to make cost-effective choices that reflect its solid corporate foundation and its ability to deliver high-quality, effective border services that will meet the demands of today and the future. In 2007-2008, the Agency's Strategic Plan sets out an ambitious agenda of priorities and goals for the next three years. Throughout the fiscal year, the CBSA will move ahead with the activities outlined in this RPP that will help us advance our priorities and, ultimately, move us closer to our vision of "a smart border, a smart organization". However, in fiscal year 2008-2009 and beyond, the CBSA will face significant pressures that will challenge our ability to deliver on our mandate, advance our Strategic Plan, and ensure program integrity and sustainability. For example, we operate one of the largest, most complex and business-critical information technology functions in the Government of Canada. Our capacity in this area is being stretched due to a demanding strategic agenda and increased volume of transactions, as well as rising maintenance and service costs. We are also seeing an increase in the volume of activity within some of our core functions, including customs, trade and front-line immigration, due to the introduction of new programs and changes in responsibility emanating from legislative changes. As well, while we have made progress to enhance our central corporate functions, sustaining such improvements and meeting the growing requirements for accountability and modern management will further stretch limited resources. Furthermore, while the CBSA received additional funds ($433 million over five years) in October 2005 to increase capacity at the border, this funding is set to expire in 2010-2011. Renewal of this funding will be considered in light of the results of a Treasury Board Secretariat-mandated third-party resource review completed in 2006-2007. This reflects the increasing attention devoted to ensuring that the CBSA's resource base is sufficient to fulfill its mandate and to meet the needs and exceed the expectations of Canadians. This recently completed review has provided profound insights into the limits that the CBSA must overcome in order to carry out its core functions and responsibilities, while at the same time maintaining flexibility and building the capacity necessary to move forward on its innovation agenda. Without sufficient base funding to meet ever-shifting demands and challenges, the integrity of our base programs is at risk. In 2007-2008, CBSA will work with central agencies to develop a strategy for moving forward on the results of the Review. Acting on the findings and recommendations of this Review is of critical importance to ensure that the CBSA remains vital in the future and that its base resources are sufficient to contribute to the security and prosperity of Canadians. The Agency continues to make effective delivery of programs and services its top priority to aid in advancing the Government of Canada's commitment to provide a fair and reliable marketplace while tackling crime to ensure safe and secure communities for all Canadians. Build and maintain program expertise and understanding across the Agency. In 2007-2008, the Agency will continue to promote ways to enhance its program expertise in its immigration, food, plant and animal programs. This will further complement the CBSA's strong customs programs and expertise. Develop an integrated framework for effective program delivery. Having an integrated framework will allow the CBSA to increase its ability to identify and interdict people and goods of high or unknown risk while expediting the flow of low-risk travellers and trade. Improve border security by beginning the process of providing duty firearms to CBSA officers who work at land border crossings and marine commercial operations, as well as to officers who performs inland enforcement functions. The 2006 federal budget allocated $101 million over two years to start the process of arming CBSA officers and eliminating work-alone situations. Over 2007-2008, the CBSA will take measures to begin the process of providing duty firearms to CBSA officers and providing the required training for their use and safe handling. developing an implementation strategy to ensure an efficient and effective roll-out of the Arming Initiative. Results statement for this priority: The CBSA will increase its ability to identify and interdict high and unknown risk people and goods, while expediting the flow of low-risk travellers and trade. The operating environment of the CBSA is one of ever-shifting challenges and opportunities. To prepare for the future, the Agency will employ more evidence-based decision making, modern technology and innovative approaches. We will improve our ability to provide analysis and advice on domestic and international issues and continue to seek new and creative solutions to the challenges we face by using approaches that increase our presence abroad and "push the borders out." To further advance our innovation agenda in 2007-2008, the CBSA has developed two new strategic goals in support of this priority. Delivering on our major funded innovation commitments. Over the next fiscal year, we will continue to deliver on our major funded innovation commitments with the aim of increasing the use of evidence- and science-based solutions. These initiatives will set the stage for shaping the next generation of innovation, science and technology and will ensure that CBSA employees are equipped with the necessary tools to perform their job. Advancing and shaping the next generation of innovation, science and technology. In collaboration with stakeholders and partners, and in efforts to enhance technological solutions that meet operational needs, the CBSA will further work towards achieving this goal in 2007-2008.
enhancing the CBSA's science and technology research capacity in order to be more proactive by promoting and supporting technology research for ongoing initiatives and by continuing research into new and emerging technologies in support of border operations (e.g. advanced documents, radio frequency identification (RFID), biometrics and scanning technologies). Results statement for this priority: An increased use of evidence- and science-based solutions will contribute to improved security at our borders and greater economic prosperity. The CBSA is committed to an approach that builds and leverages strong national and international partnerships. Ensuring that we establish and maintain reliable relationships with our clients, stakeholders and employees is essential for data-gathering and information-sharing purposes and helps us to advance the Government of Canada's security and prosperity agenda. The CBSA relies on partnerships to achieve its mandate and deliver programs and services in addition to overseeing many international agreements and administering more than 90 acts and regulations, many on behalf of the provinces, territories and other federal departments and agencies. Enhancing our relationship with the United-States on border issues to further advance the CBSA's agenda. In support of the Government of Canada's commitment to a strong and mutually beneficial North American partnership, we will continue to further enhance our partnership with the United States and Mexico through the Security and Prosperity Partnership of North America (SPP). For 2007-2008, we will continue to devote funding that was announced in Budget 2006 toward high profile initiatives under the SPP. We will also undertake new activities this year to bolster our already excellent rapport with the United States in support of our new strategic goals. Strengthening relationships with other federal government departments. With the ultimate goal of establishing stronger Canadian partnerships and agreements, the CBSA remains committed to enhancing communications internally as well as externally, and will strive to build new relationships and more durable linkages with federal partners over the 2007-2008 fiscal year. capitalize on linkages and synergies between the CBSA and other federal departments by continuing to take active roles in the negotiation of free trade agreements and in international fora such at the World Trade Organization, and by participating in major initiatives to address issues of border security and trade facilitation, such as the Security and Prosperity Partnership of North America. Results statement for this priority: The CBSA will have stronger partnerships and agreements, internationally, with our stakeholders, our clients and employees. The CBSA is firmly committed to accountability and sound stewardship of resources. A modern management regime underpins all of our other strategic priorities and the CBSA is committed to establishing the necessary frameworks to deliver on this priority. The Government of Canada has placed significant emphasis on the need for strong controls and accountability. Strong and comprehensive corporate planning, performance measurement, program evaluation and internal audit functions are cornerstones of a robust accountability regime. This is a fundamental component in ensuring that the CBSA possesses a strong governance and accountability structure. Developing a workforce to take on the challenges of the future. We further recognize that our skilled and knowledgeable workforce is our strength and, during 2007-2008, we will continue to equip our employees with the tools, training and support they need to perform their jobs with excellence. Stabilizing the CBSA's resource base. Stabilizing the CBSA's resource base is a vital component in ensuring a solid corporate foundation for the Agency and its future direction. beginning to develop a leadership framework that will include a support network. Results statement for this priority: The delivery of the CBSA's mandate will be supported by a strong governance and integrated planning structure, underpinned by a robust values and ethics regime. We will uphold our organizational values of integrity, respect and professionalism in all aspects of the activities undertaken to support our strategic priorities and goals.